Background: East End Homes Common area refurbishment. 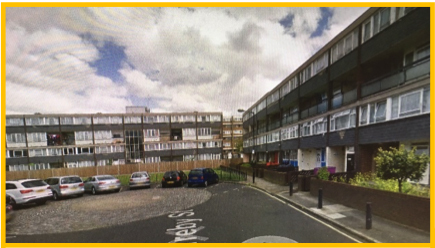 Brief Description of Works: Installation of 3 compartment trunking finished to RAL 9010 throughout to accommodate replacement of landlord lighting with energy efficient LED fittings, replacement of lateral main and installation of new BT cables. Renewal of mains switch gear and Electrical Installation Condition Report (EICR) of all flats plus installation of new fans in tenanted properties. Challenge: Maintaining existing supplies whilst installing new supply. Technical Solution: Installed separate trunking to carry new supplies allowing existing supply to remain operational during works.